Are you a Facebook user? Have you created a “fan page” for your Herbalife business? If so, you can now share product information on a new tab on your pages. All you need to do is create a Facebook page, and then go here to add the HNN Herbalife app to your page. Contact us if you have any questions about using this new service! Hi Guys I’m looking for persons who really needs support in losing weight while staying healthy. I will support you regardless of your distant. HI Got my first work from home leads today. going to follow them up tonight as they requested to be called in the evenings. that after 6pm eh. 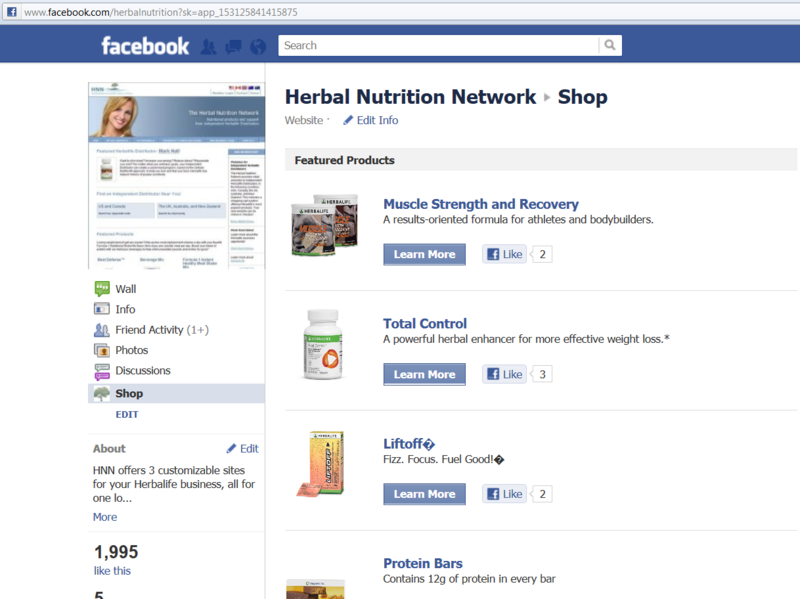 loving the herbal nutrition network system…..